 Home » Home » In Our Community -- Come Walk With Us! Come join us this Summer and Autumn at 5 great community walks -- and 1 bike ride! 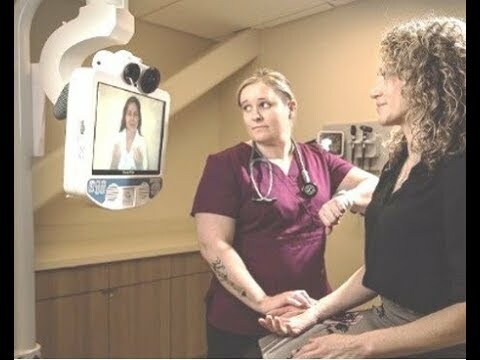 -- to benefit our community partners and the patients we serve. Saturday & Sunday, 8/4/18 & 8/5/18: Bike MS -- a two day cycling adventure with rides ranging from 18mi to 105mi. Get refreshed at the beach-themed Providence MS Center Rest Stop! Sunday, 8/5/18: Northwest Brain Tumor Walk -- join our team! Sunday, 8/26/18: Walk to End Alzheimer's -- join our team! Sunday, 9/30/18: Sole Support Portland Walk, Parkinson's Resources of Oregon -- join our team! 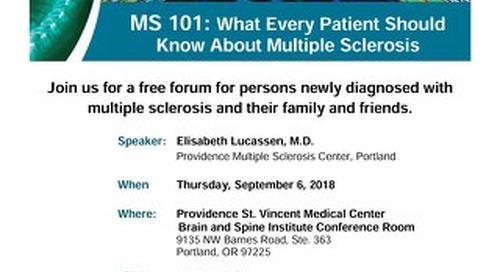 This special 3-class series will offer complimentary therapies and wellness practices for people living with multiple sclerosis. 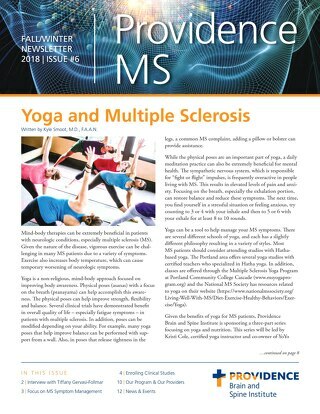 Read articles from Providence MS Center experts on yoga practice, vertigo symptoms, and other topics of interest for people living with multiple sclerosis.